More and more observers, mainstream and otherwise, are comparing Trump to such 1930s fascists as Mussolini, Hitler, and Franco. But is this accurate? And are some of those throwing around the F-word “smug elites” who are themselves complicit in war crimes and the destruction of freedom? 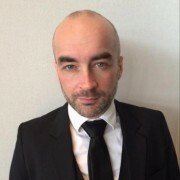 Gearóid Ó Colmáin is an Irish journalist and political analyst based in Paris. His work focuses on globalisation, geopolitics and class struggle. He was a participant in last year’s Paris-based False Flag Islamophobia Conference. This show was broadcast on February 1, 2017. This entry was posted on Monday, January 30th, 2017 at 10:25 am	and is filed under Anti-War, Censorship-Propaganda, Education, False Flag/Fake Terror, Freedom, Geopolitics, Immigration, Justice, Kevin Barrett, Law, Martial Law, News, Politics, Protest, War Crimes. You can follow any responses to this entry through the RSS 2.0 feed.